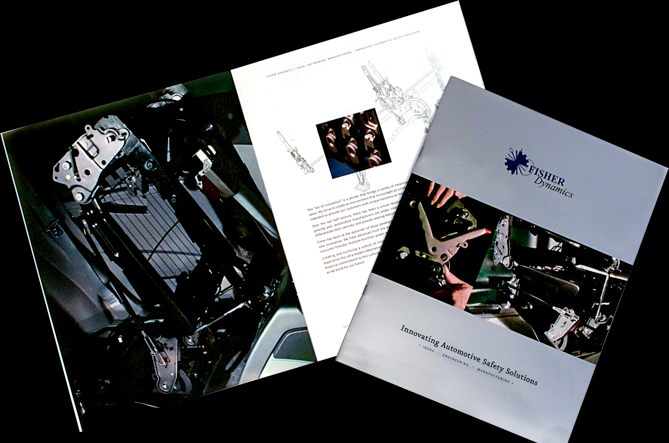 This 24 page corporate brochure was designed to highlight the contrast of high technology and the industrial assembly process. Fisher & Company specializes in Tier 1 components for safety and seating for the world-wide automotive industry. The brochure was designed to show all aspects of their business. It was produced in three languages.